Far, far away, at the bottom of the ocean, lived an oyster. Of course she was not alone; this was a well-respected and pretty crowded oyster bank. But our little oyster felt out of place compared to the rest of the oysters. 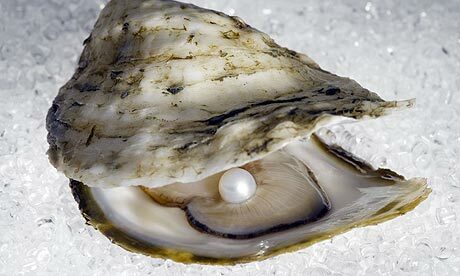 All the other oysters were very proud of the pearl they were cultivating inside of them. They would talk about its progress, and show each other too. But our oyster kept very much to herself. She would not participate in the animated conversations, and had never even given the other oysters as much as a glimpse of what she was cultivating. Of course she knew exactly what it looked like; she had repeatedly looked at it when the others were sleeping. It was beautiful and shining with an almost transparent glow. She could have joined the conversations and showings, but for some reason she felt her pearl was much too beautiful to be exposed. She kept it completely to herself, cherishing it. The other oysters tried to persuade her to open up to them, but she kept resisting them. “No!” she spoke firmly. “It’s much too beautiful to be shown to you! This is the best, most beautiful pearl. I love it, it’s mine and that’s what it will be forever.” She kept loving and cherishing her pearl as it became bigger and more beautiful than ever, while keeping shut. Soon the time arrived for the oysters to be brought up to the surface. They were bragging about the wonderful destination their pearls would have. “My pearl will become part of a Queen’s necklace!” “My pearl will become an Emperor’s gift to his wife!” “My pearl will be the biggest piece of jewellery on an engagement ring!” “My pearl….” But our little oyster kept silent as she loved and kept her pearl inside of her. She had seen lots of oysters being brought to the surface, even beginning to think she would escape this terrible fate, when with a sudden shock she felt herself being grabbed too! She was determined to stay shut, and not let anybody touch her beautiful pearl. But of course, even she was pried open and her pearl taken from her. She managed to look over the edge of the basket that she had been put in. At first she was blinded by the sunlight, but after blinking a couple of times, she could see where she was. She could see a tiny fisherman’s house, kept very clean. She could see the young fisherman, with HER pearl in his hand, approach a beautiful young woman. He held out his hand and gave her the pearl. Our little oyster could clearly see the surprise on the young woman’s face. “Oh! What a beautiful pearl! I’ve never seen one so beautiful!” Our oyster nearly fell back into the basket, but managed to hold on. She saw the look of sincere love on the fisherman’s face as he asked the woman: “Will you marry me?” “Yes! Yes!” the young woman cried out as she dropped herself into his embrace. He lifted her up and swirled her around as they kissed. 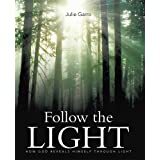 This entry was posted in Faith, Parable, Refreshment, Spiritual Journey and tagged happiness, Jewelry, Oyster. Bookmark the permalink. I really like this object lesson! Thanks Daryl. Have a great day. I really love this story, sis. Especially with the message at the end of story 🙂 Blessing and have a great weekend, sis. Great post. Neat and touching story. I will be following your journey. Thank you for following my blog as well. God bless! 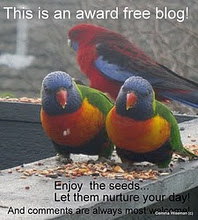 Thank you for stopping by my blog and for your great comment. Absolutely my pleasure. God bless. What a beautiful story, and I loved the last line about bringing to the world what we have cultivated inside us. God has been ‘cultivating’ me for over 30 years now… since I became a Christian (at 27). But I’ve been withdrawn this whole time. However, deep inside me He has been working diligently. I thought I had nothing to offer the world, but lately I’m finding myself becoming a total “people person” who is interacting with others in a sane and useful way. I came from a savage family background with much abuse. But God works in marvelous ways. I can’t begin to tell you how surprised I’ve been by this transformation.